DividendMax»Company Coverage»Country:United States»Exchange:NASDAQ»Sector:Software & Computer Services»Company:Fiserv, Inc. When Certegy Inc. merged in 2006 with Fidelity Information Services, the resultant S&P 500 company was named Fidelity National Information Services (ôFiservö). It is a provider in 80 countries of core processing for over 9,000 financial institutions; card issuer and transaction processing, and mortgage processing services; and information products and outsourcing. 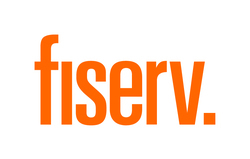 From their web site: "Fiserv does not issue cash dividends"